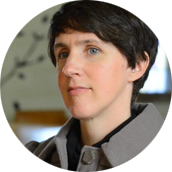 July 18, 2018, Tempe, AZ – The Evangelical Christian Publishers Association (ECPA) has announced the session topics and leaders for the second annual ART OF WRITING CONFERENCE. This half-day event, held the afternoon of November 7, is designed to bring together writers, authors and publishing curators — and will feature intensive seminars that celebrate the creative life and provide practical tips for the challenges in this rapidly changing industry. 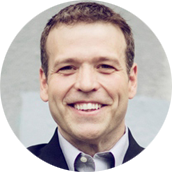 The opening session will share the closing session of the ECPA publisher event PubU, and feature DONALD MILLER, CEO/founder of StoryBrand and New York Times bestselling author. Other sessions will be led by respected authors Jerry Jenkins, Charles Martin, Carla Laureano, Sarah Arthur, Amy Green, Christian publishing executives, and more. 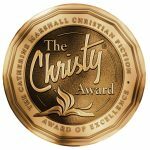 The Art of Writing will be held at Lipscomb University in Nashville and will precede the evening gala of THE CHRISTY AWARDS™ where the year’s winning Christian novels will be announced at 7 pm in Lipscomb’s Shamblin Theatre. Registration is now open at www.ChristyAwards.com. 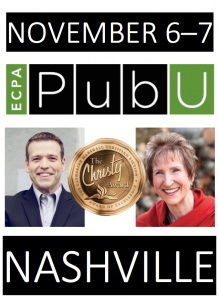 ECPA is honoring last year’s introductory bundle rate of $99 to attend both events. Individual event tickets are available for $69 each. Donald Miller is the CEO of StoryBrand and every year helps more than 3,000 leaders clarify their message. Combined, Don’s books have spent more than a year on the New York Times bestsellers list. His books include: Blue Like Jazz, A Million Miles in a Thousand Years, and Scary Close. 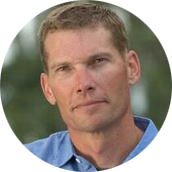 Don is widely considered one of the most entertaining and informative speakers in the world. His audiences are challenged to lean into their own story, creatively develop and execute the story of their team, and understand the story of their customers so they can serve them with passion. Don’s thoughts on story have deeply influenced leaders and teams for Pantene, Ford/Lincoln, Zaxby’s, Chick-fil-A, Steelcase, Intel, Prime Lending and thousands more. With all the confusing—and sometimes conflicting—advice about writing careers and publishing, it’s sometimes hard to know what to believe. We’ve polled editorial and marketing staff at large and small Christian publishing companies to get their thoughts on ten common questions submitted by authors at all points in their career. 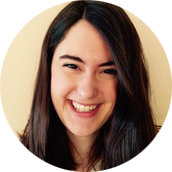 This session will take you through the data and sort myth from fact, along with a detailed handout breaking down information about everything from publisher etiquette to sales trends to the future of the genre as a whole. Have you ever wondered how to make your stories stand out or develop the “fresh and original” voice editors are always looking for? Sometimes to create something new, you have to return to something old. This session will give practical tips to contemporary writers by examining classical fiction, answering questions like, “What about these timeless characters captured our imagination?” and “How did these authors weave beautiful redemptive truths into their writing so seamlessly?” By joining with the great Christian creatives who have gone before us, authors can add depth to their stories and celebrate where Christian fiction is going next. Following the Art of Writing Conference, attendees will have time to mingle and build community with other authors, editors, and industry leaders before the 19th annual CHRISTY AWARDS GALA. The awards program will begin at 7:00 pm, and will be hosted by New York Times bestselling author Francine Rivers, 2017 Book of the Year winning author Charles Martin, RITA award winner Carla Laureano, and the author of the upcoming spiritual memoir of Madeline L’Engle, Sarah Arthur. For more information, to register, or sign up for program updates, visit www.ChristyAwards.com or email christyawards@ecpa.org. April 30, 2019 | Chicago, Ill.
September 22-24, 2019 | Boston, Mass. Submit industry related news releases to rushtopress@ecpa.org for consideration. Rush to Press is sent every Monday and eligible releases must be received by end of day Friday prior to the Monday’s publication. To announce a job opening in Rush to Press, post it first at the ECPA Career Center at ecpa.org/careers, and your announcement will appear in the next issue. To receive Rush to Press, along with other industry updates from ECPA, please follow the instructions here to create or modify your ECPA community profile. To subscribe to Rush to Press without using a profile, subscribe here. If you would like to reach over 3,300 industry subscribers and media contacts each week, consider advertising in Rush to Press. Contact sponsorship@ecpa.org for more information. This is a publication of the Evangelical Christian Publishers Association. For more information about ECPA, contact info@ecpa.org or visit ECPA.org.